Bonnie Burton is the person behind the official Star Wars Blog. So for that she gets major nerd kudos, but Bonnie is far more than that. She’s also a celebrated writer and general Internet person. Bonnie has penned or contributed to far too many books to mention. Her most recent efforts are The Star Wars Craft Book and Womanthology: Heroic (for which she both an editor and writer). The Star Wars Craft Book is a must-have for anyone interested in making their own Star Wars themed merch. From Jabba body pillows and AT-AT Herb Gardens all the way to Yoda finger puppets, with pretty much everything else in between – including some brilliant holiday themed items. But why should you follow her on Twitter? Well, for one, she’s always posting really interesting links to various things. She’s like a really nice Google bot who retrieves links to frakking awesome things just for you. Although she’s not retrieving links just for you, so don’t kid yourself into thinking that. She’s also really, really, exceptionally nice and has a penchant for googly eyes. 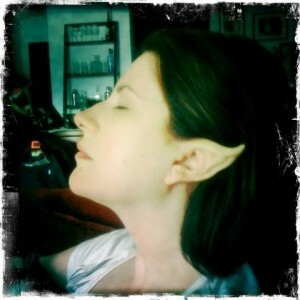 Follow her on @bonniegrrl or forever regret that decision. Felicia Day is the undisputed Queen of the Internet. Nobody has (or possibly will ever) come close to over-throwing her. She started off as Vi on Joss Whedon’s Buffy the Vampire Slayer capturing hearts as the sweet and (as it turns out) not so [insert synonym for shy] potential. She then went on to start making web series starting with her smash hit The Guild, about a guild of online gamers that draws on Felicia’s own obsession with the MMORPG World of Warcraft. 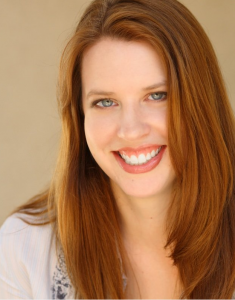 She was then cast as Penny in Joss Whedon’s web series Dr Horrible’s Sing-Along Blog. From there, Felicia’s popularity has grown and grown. An avid gamer, she’s even been given her own Dragon Age II character Tallis, which coincides with her Dragon Age web series which she penned and starred in. Oh and she had a recurring role on SyFy’s Eureka. She never sleeps, right? Because she’s the Queen of the Internet, dammit! That and, she tweets interesting and cool photos from various places she visits. And she’s engaging too, often spending heaps of time replying to the bajillion people who tweet her every day. That and she also lets you know about when she does her live videocasts. She’s @feliciaday, in case you didn’t know. Jessica Mills is a LA-based actor who wrote, starred in and produced her own web series called Awkward Embraces way back sometime last year. It took a little while for the show to start drawing in a huge fanbase, but it did just that after various high-profile websites and Twitter people started tweeting about the show. Fast-forward to now, and season 2 is already over and done with and what a treat it was. Although the season ending would be a nice way to end the series, we’re really hoping for more. Hopefully soon we’ll hear talk of a 3rd season. Other than that, she’s also been involved in the new film Office Ninja which is all wrapped up and ready to go. Well it’s simple, really – she’s just great. She’s a lovely and warm person and she has some social phobias so I’m sure she’d prefer you to follow her on Twitter than follow her in real life. Also that’s illegal so don’t do that. She’s @geekyjessica. We could have given each of these geek girls a section of their own, but they’re Team Unicorn. And there’s no I in Team Unicorn. Wait. Okay, scratch that. Let’s start again… Team Unicorn is Milynn Sarley, Clare Grant, Rileah Vanderbilt and Michele Boyd. They created an internet phenomenon with their parody video G33K AND G4M3R GIRLS back in September last year, but have continued making hilarious videos for the Internet since. Their A Very Zombie Holiday and Alien Beach Crashers videos are particularly roflcopter inducing. They’re all massive gamers and geeks and they’re not afraid to show it. But why should you follow them on Twitter? Because not only do they have their own Twitter accounts (@ClareGrant @Rileah @MicheleBoyd @MilynnSarley) but they also have a joint account (@TeamUnicornFTW) and it’s really fun to guess who tweeted what. There you go, a new game for you. He plays a lovable computer geek on tv and a lovable general geek IRL. Well, he’s not really playing a geek in real life, more just celebrating his inherent geekiness. He’s a massive Star Wars nerd and he runs his own, very successful, nerd apparel website The Nerd Machine. He’s a regular at SDCC and even hosted the geek event, Nerd HQ, which boasted attendees like Felicia Day, Jewel Staite, Nathan Fillian and Olivia Munn among a host of other geekarati. Although I’ve never met the man, he does seem to be incredibly friendly and everyone who meets him instafallsinlove with him. But why should you follow him on Twitter? He tweets jokes, links to cool stuff and lots of photos from his travels. He recently tweeted a photo of his grandma – she’s so cute and we want her to adopt us. But anyways, follow him @ZacharyLevi if you need a new nerd in your life. Marian Call is an Alaska-based singer-songwriter. But what’s different about Marian is that a lot of her music has been drawn from her experiences as a massive geek. Her second album, Got to Fly was inspired by her love of the television programmes Battlestar Galactica and Firefly and also boasted one of our favourite nerd anthems – I’ll Still be a Geek After Nobody Thinks it’s Chic. Earlier this year she released a double-album entitled Something Fierce that is about love, life, spaceships and her time in Alaska. Marian has a BMus in Composition and Vocal Performance from Stanford. So not only is she talented, she can also kill you with her knowledge of music. We talked somewhat about it in our interview with her earlier this year too. You can find that by clicking here. She’s someone who comes really highly recommended because not only is she an awesome musician, she also takes a lot of time to engage with her fans around the world. And she often tweets exclusives about her music there too! She’s @mariancall. If you haven’t noticed already, we seem to have a penchant for geeky red-heads. We literally just figured this out right this second. Anyway… Florence Welch (of Florence + The Machine fame) may not strike you as an obvious choice for a “geek” or “nerd”, but she absolutely is. Just recently she confessed to her love for Doctor Who, mentioning that she loves coming home to watch it and that she’d love a part on it too – not as a companion, but as a monster! If that’s not enough for you, you can also discern easily from a listen to any of her music that she’s a huge mythology geek. A lot of her lyrics revolve around, or mention, some sort of mythology. And that gives her kudos in our geek book! It’s a difficult one, because she actually doesn’t really tweet very often. It’s mostly her record company HQ doing it for her, but you do get all the Florence + The Machine news first over there on @flo_tweet. Grant Imahara builds robots and other exciting things for MythBusters, but before that he worked building robots and other exciting things for films like The Lost World: Jurassic Park, Star Wars: Episode I: The Phantom Menace, Galaxy Quest, AI: Artificial Intelligence, The Matrix Reloaded, and Van Helsing. Grant is a engineering whizz, much like Howard from TBBT, but he’s not a creep like that. Or is he? No, he’s not. He does, however, enjoy cosplaying. Already this year we’ve seen him cosplaying characters from BSG and Doctor Who. He’s also determined to build a functioning TARDIS one day. Well, as you read above he’s a cosplayer so he tweets pictures of him dressed as various characters. But more than that, he’s also known for tweeting pictures from the set of MythBusters of various projects currently in the works. So there’s that too. 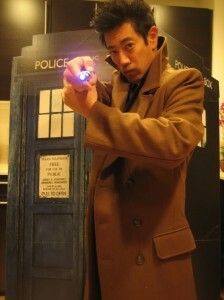 Follow him @GrantImahara. Stephanie Thorpe, actor, director, new media geek extraordinare. But on top of all that, she’s also one of the brains behind the fantastic ElfQuest: A Fan Imagining which brought her vision of the series to the screen. She crowdfunded all the money for the production, and even got the creators of ElfQuest behind the project. It was a huge success, and even SAG got behind it – hosting the premiere party! Because she talks geek all the time. And she’s hilarious to boot! Follow her @TheStephThorpe. Geek Girl Diva is a blogger by night, but a QMX Marketing exec by day. So not only does she run a really successful geek girl blog, she also works for one of the coolest and geekiest websites out there. If you don’t know already, QMX make and sell lots of geek-centric items such as Firefly, BSG and Star Trek themed pictures, statues and gadgets. But above all else, Geek Girl Diva (she has a real name, of course) is a big geek with a big heart. She’s always fighting the good fight too – from sticking up for Katie, the Star Wars fan who got bullied for her Star Wars water bottle to sticking up for Jon Finkel when he got trashed on Gizmodo for playing MTG. Oh and some of the time she has purple hair. She tweets a lot. A lot!! And most of those tweets are taken up with links to geeky things, and also conversations with various other geeky people. They’re always interesting to peek at if you happen to follow both parties too! She’s always nice too and great for a chat. 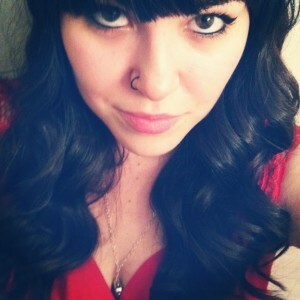 Follow her on @geekgirldiva. 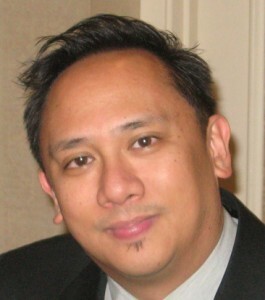 Len Peralta is the artist behind the Geek A Week trading cards. He likes to draw monsters, zombies, robots and, of course, geeky pin ups. He did a series of them earlier this year and they were all fantastic. A lot of the people on this list have been featured in either his pin ups or his geek a week cards – some have even had both! He’s many a geek’s favourite artist as he captures the essence of everything geek with his various drawings. He also hosts a podcast called Jawbone Radio. He tweets about all his artwork, which is especially cool when it’s in its early stages and you get to see the piece grow from a simple sketch to the finished awesomeness. He’s @jawboneradio on Twitter! 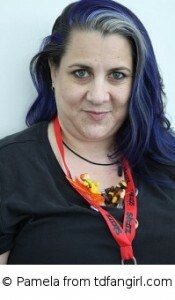 Janna O’Shea is the Social Media Co-ordinator for Marvel. As in Marvel comics. As in most of Pop Culture Monster’s favourite comics. If that’s not enough for you, she’s also a huge bibliophile. She loves books as much as we love her. She previously worked as an editorial intern for Marvel’s website as well as contributing to MTV Geek and various other geek-centric websites. She’s a fantastic writer, and she’s full of WIN. She also cosplays a bit! Well if you want the insider scoop on all things comics at Marvel, she’s the go-to person. She also tweets lots of artwork that some of the artists have drawn for her, which is pretty sweet. She’s also obviously a little bit Irish… if the name didn’t give it away already. So there’s that! She’s @dreamyeyed on Twitter! Lights is a musician. Lights is American. Lights is a huge nerd. Lights is her real name. Out of those 4 statements, 3 of them are true. Can you guess which one isn’t? Well, she’s actually Canadian. And seriously, her name is Lights. She’s an avid WoW gamer, and still games as often as she can. Her main is a Draenei DK, 5.8 gs, and her alt is a Tauren Warrior. She has a Lights Guild on Korgath. She’s also really active on YouTube, often vlogging her way through her tours. The videos for her songs are also all space-y and cool. If you’re a gamer, she’s a must-follow. Especially if you’re a WoW fan. She’s very into WoW. She’s always making jokes and geeky quips. And she also runs the show solely, which a lot of artists don’t do these days. She’s @lights so go say hi! 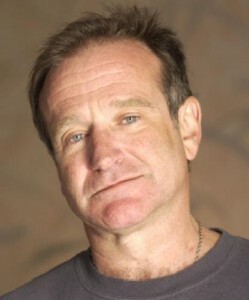 Yes, THE Robin Williams. You all know who he is – that crazy comic and Oscar winning actor who’s been in at least one movie a year since the mid-80s. What you may not have known, though, is that Robin is a massive gamer – and a particular fan of The Legend of Zelda game franchise. He even named his daughter Zelda. He’s also a fan of TTRPGs and FPS games like Half Life and Battlefield. And only this year he did a television advert with his daughter Zelda for the 3D remake of Ocarina of Time. So, for that he gets a Monster hat-tip. Well, you shouldn’t, actually. Because he hasn’t got one (that we know of… but do enlighten us if you know that to be untrue). Well there you have it. Who are some of your favourites that we missed?